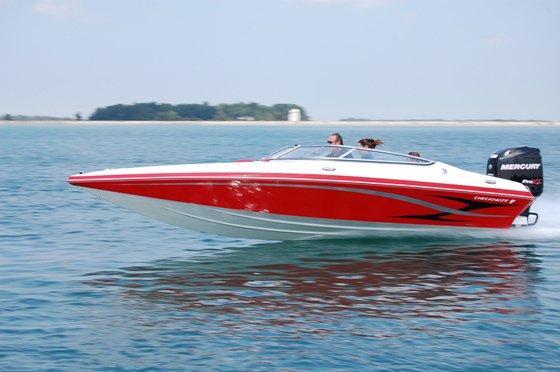 Two of best deals in the high performance powerboat sportboat market boast outboard power. The term “affordable” is as relative as they come. Right now, for example, the $1,200 my mechanic wants me to cough up for my new truck tires, along with another $200 for brakes, really doesn’t seem all that affordable. Then again, if you offered me a seven-day trip to Maui including airfare and accommodations at the Four Seasons for $1,400, I’d call that affordable and find the money—the same amount I’m whining about for tires and brakes—in a heartbeat. 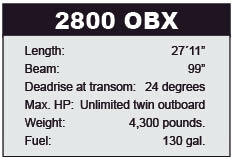 Twin 225-hp outboard engines will push the Convincor 2800OBX to 65 mph. 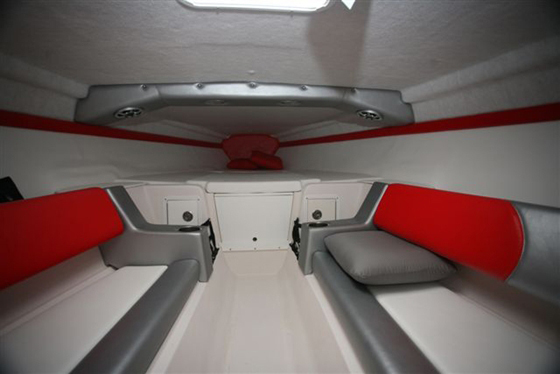 And so it is with high-performance powerboats, where what qualifies as “affordable” takes relativity to a higher and sometimes absurd level: A friend of my mine just told me what a great bargain he got in a $250,000, used five-seat catamaran. With that in mind, I present two bargains—meaning a lot of boat for the bucks—from Checkmate Powerboats in Bucyrus, Ohio. 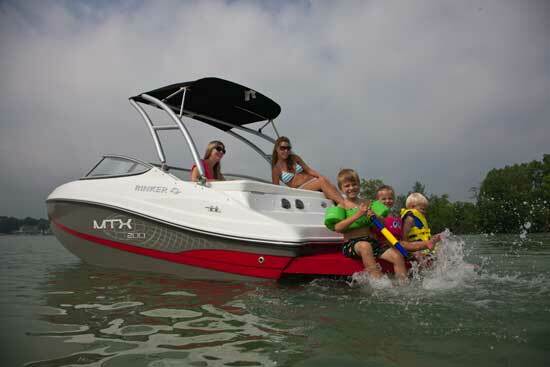 The latest model from Checkmate, the Pulsare 2000BRX, prices out between $35,000 and $40,000, depending on power. 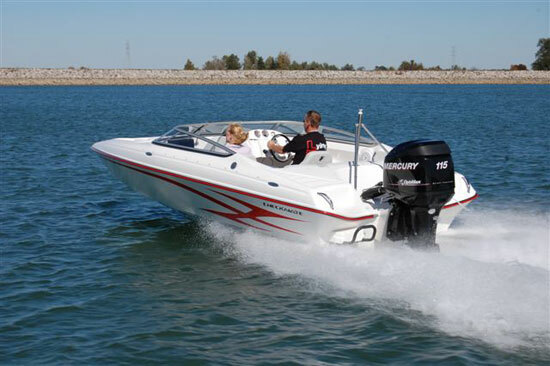 Base power is a 115-hp Mercury Marine outboard engine, which reportedly will push the boat to 50 mph. Upgrade to either Mercury’s 150-hp four-stroke (a new release that’s not in the Verado line) or its direct-injected 150-hp OptiMax two-stroke, and you’re looking at a top end of more than 60 mph. Checkmate built everything it could into the cockpit liner for the 2000BRX. Although the efficient hull for the 20-footer existed when Doug Smith, the founder of the well-known Baja Performance Boats line, bought the company several years ago, its deck did not. Last year, Smith and his design team retooled the boat. Instead of using a wooden sole, they built a complete fiberglass cockpit inner liner. 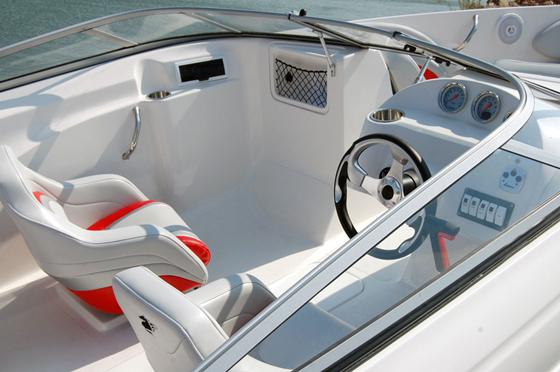 That enabled them to create a wider cockpit with almost a foot more interior length, without changing the overall length of the boat. The result is a 20-footer that, according to Smith, comfortably seats seven. 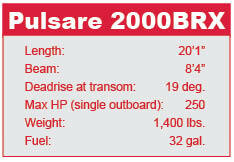 With a single outboard the Pulsare 2000BRX runs more than 60 mph. The new deck also enabled the builders to produce the Pulsare 2000BRX less expensively, which accounts for its relatively low retail price. “We took 40 hours of labor and $600 worth of materials cost out of the boat,” said Smith. If you’re at all dialed into sportboat pricing, a twin-engine model that retails for $125,000 with base power doesn’t sound like anything you’d want to own. But the Convincor 2800OBX, which began its life as a stern-drive that could accommodate a small-block engine—or a big-block if it was shoehorned into the engine compartment—presents an exception. The boat’s hull is based on a model that Checkmate’s original owner dubbed a 30-footer, but it was really a 28-footer without its add-on swim platform. By dumping the swim platform, losing the engine compartment, and adding an outboard bracket (a move Checkmate made two years ago), the builder was able to increase the size of the cockpit and offer the boat with more affordable outboard power that was better suited to the hull. 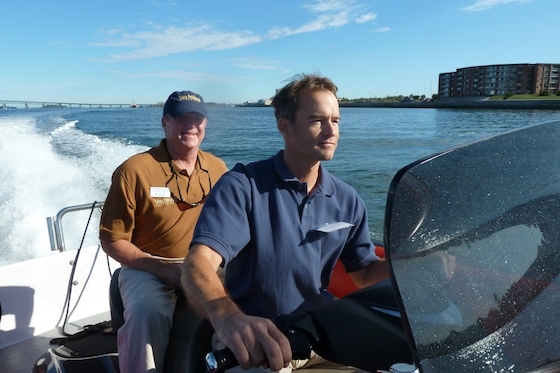 Smith said that 75 percent of the boats his company builds are ordered with outboard engines. The driving factor is price. The closed-deck 28-footer boasts a straightforward but functional cabin. Smith is onto something. 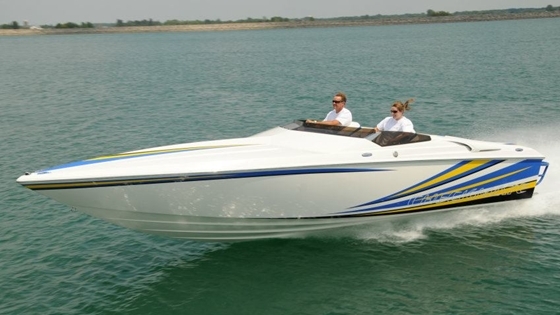 As I wrote in a recent story, (read Whatever Happened to Entry Level Performance Boats?) 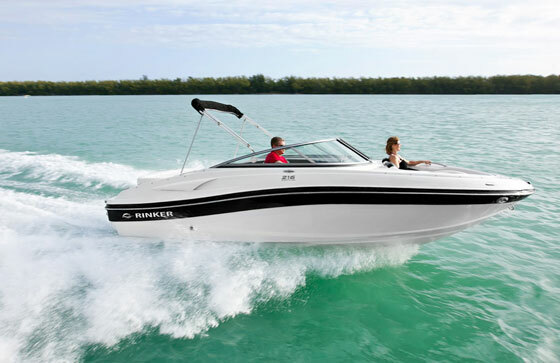 the sportboat market needs affordable boats. The fact that Checkmate reached 75 percent of its 2010 sales by July of 2011 reflects that demand. Checkmate currently is building a new 26-footer that should compete favorably with the Baja 26’ Outlaw. Checkmate built its loyal following, especially in the Midwest, on fast and efficient hulls and affordable prices, and both the single-engine Pulsare 2000BRX and the 2800OBX qualify in those categories. Either one could be considered an entry-level boat with base power or, with upgraded power, a smart buy for the experienced sportboat enthusiast who’s on a tight budget. 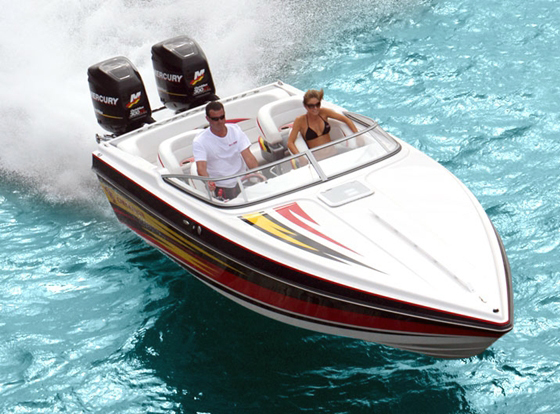 For more information, visit Checkmate Powerboats.